Tabei currently serves as Director of Engineering Group for Techbridge, Inc., an international nonprofit providing IT consulting in seven countries to thousands of nonprofit organizations. 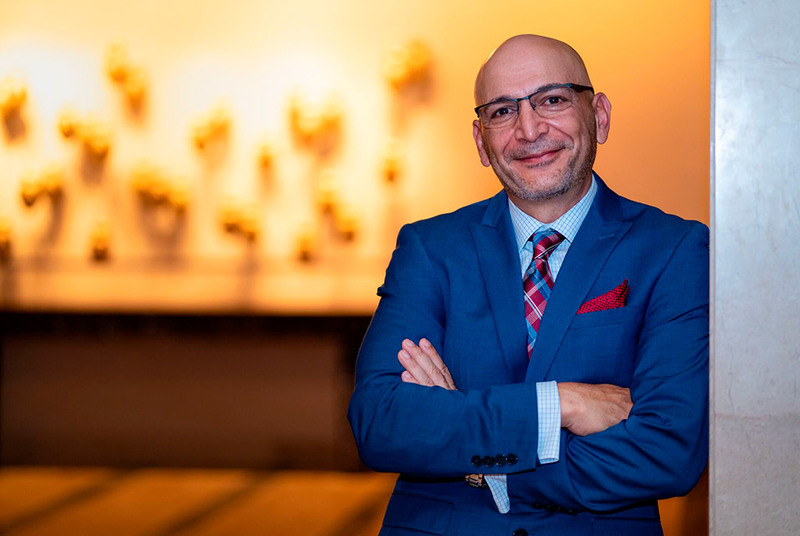 DALLAS, TX.- Agustín Arteaga, The Eugene McDermott Director of the Dallas Museum of Art, today announced the appointment of Amir Tabei as the Director of Information Technology and Digital Media. Mr. Tabei brings to his new role over 30 years of senior management practice in information technology, product development, consulting and business development. With extensive experience in nonprofit operations, Tabei currently serves as Director of Engineering Group for Techbridge, Inc., an international nonprofit providing IT consulting in seven countries to thousands of nonprofit organizations. He is the former Chief Technology Officer of NPower Texas, a not-for-profit that provides IT consulting to Texas nonprofit organizations, and former Director of Technology at Susan G. Komen for the Cure, where he led the IT strategy along with business and operational systems. He will assume his new position at the DMA on September 4, 2018. In his new role, Tabei will oversee the Museums technology and digital initiatives, as well as staff in the areas of systems administration, software and web development, multimedia, and intellectual property and rights administration. He will manage a diverse range of projects, many of which will chart the future of digital media and technology for the Dallas Museum of Art. Tabei joined TechBridge in January 2015 through the acquisition of Aidmatrix, a nonprofit that provided supply chain management platforms for nonprofits involved in international aid for disaster, medical and hunger relief. Prior to his nonprofit career, Tabei held several management positions with companies within software development and telecom sectors. Projects completed under Tabeis direction have earned widespread industry recognition, including the Oracle Universal Content Management Implementation Award, Platinum Award for Best Overall Internet Site and Gold Award for Best Health/Healthcare Content, Webaward for Outstanding Achievement in Web Site Development and a Webby Award Nomination. Tabei holds a Business Intelligence Graduate Certification from SMU Cox School of Business and an Associate of Arts degree in General Studies from Richland College.